In February 4 of this year, four farmers and Catholic workers from the Midwest, myself included, attempted to shut off the flow of deadly, poisonous tar sands oil through Minnesota and the treaty territory of several Ojibwe nations. and nary clean water to drink. All plastics as we know them today are made from fossil fuels or some derivative. If we stop the oil flow, plastics will be history. Here in Oregon, our state legislature is considering a single use plastic bag ban. Not much, but at least a start. Michele, sounds like a good time for you’re family and friends to fire off letters to the local newspapers where the jury pool will be picked from about a little legal tool we used to have in this country, Jury Nullification. Prosecutors had this outlawed, so you can’t use it in court anymore, but as we know, if people are told something enough times, they will believe it. This might put the thought in enough peoples minds, to get some to vote not guilty. It would be worth a shot to me. We have a plastic bag ban now in our community. Even if there were no such thing as Global warming caused by CO2 emissions due to the burning of hydrocarbons , the flood of plastics into our environment is reason enough to curtail the use of those same hydrocarbons. For that matter the destruction to ecosystems such as our Boreal forest here in Canada to get at underlying tar-sands is reason enough. We have a single use plastic bag ban in my city here in Oregon too. A lot of people were pissed off about it at first, but after several years they have adjusted and carry their own reusable bags when shopping now. I feel your pain over the loss of your forest and the ecosystems they are an integral part of. We have the same problem here in Cascadia in the coastal forests. They are being strip mined for wood and $$$. Whole ecosystems and watersheds have been destroyed. And the clearcutting of entire ranges are unbelievable unless people see them. Entire mountainsides without trees causes massive landslides into the rivers and ravines below. The destruction of these industrial practices are staggering and shameful. This was proposed in the 70’s, then we got lazy. 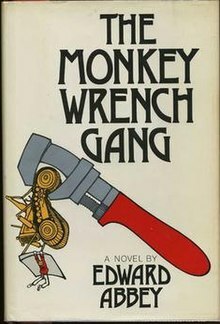 Any of you kids ever hear of, or read The Monkey Wrench Gang? I lived in Eugene in the 70’s and early 80’s. The Bottle bill was a good start too.